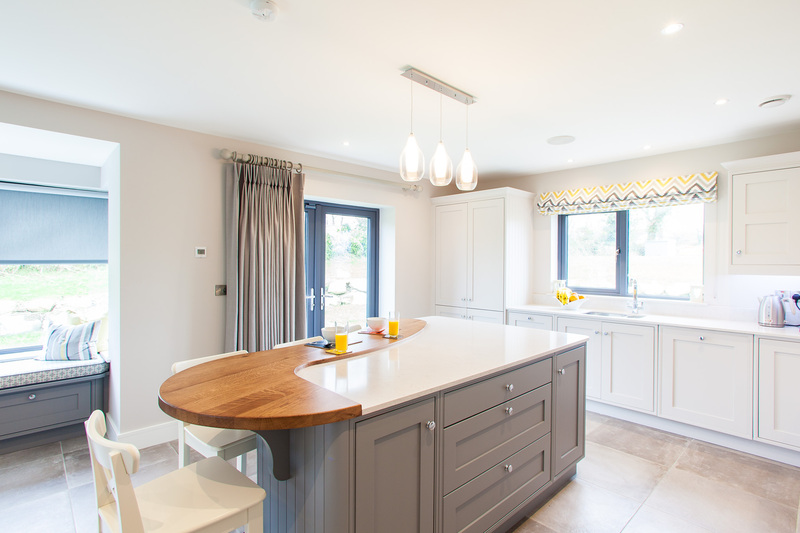 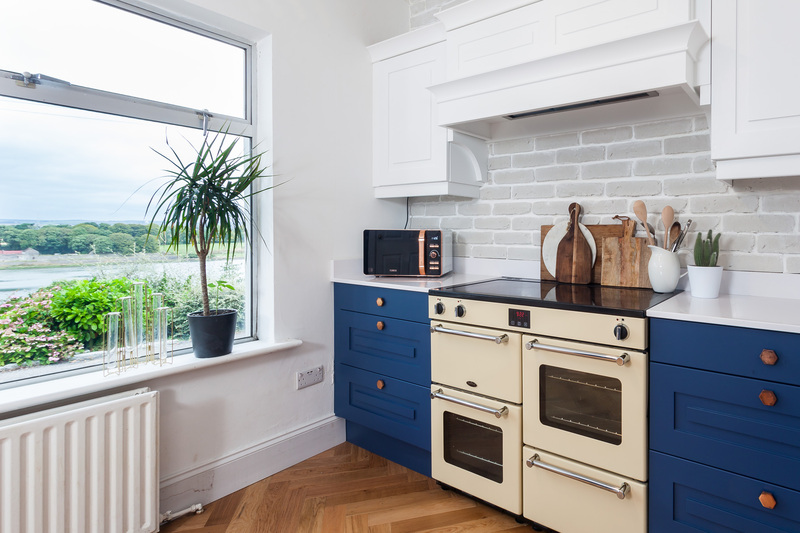 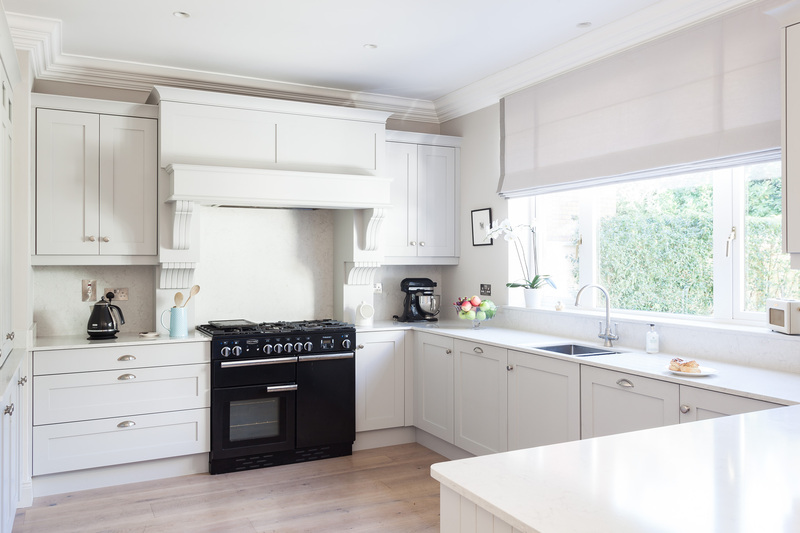 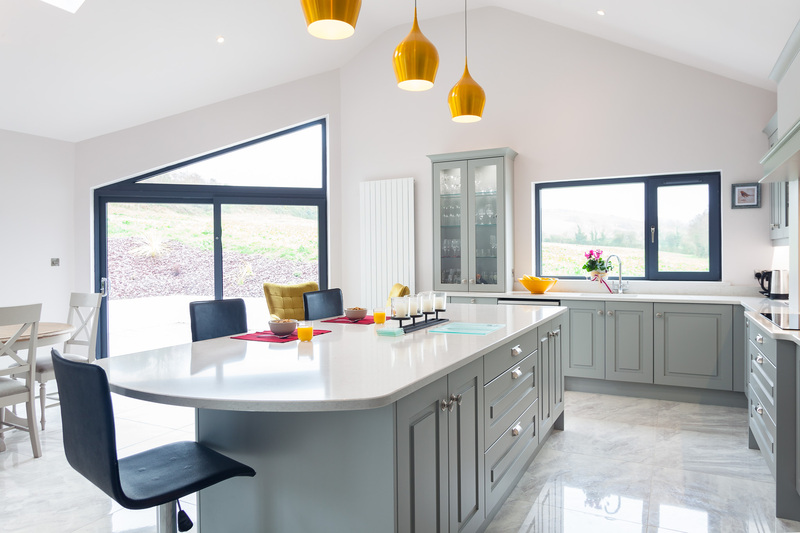 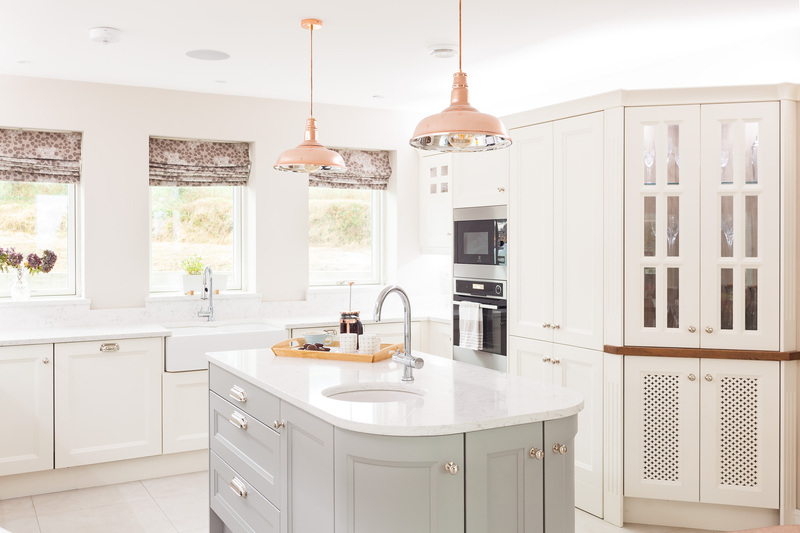 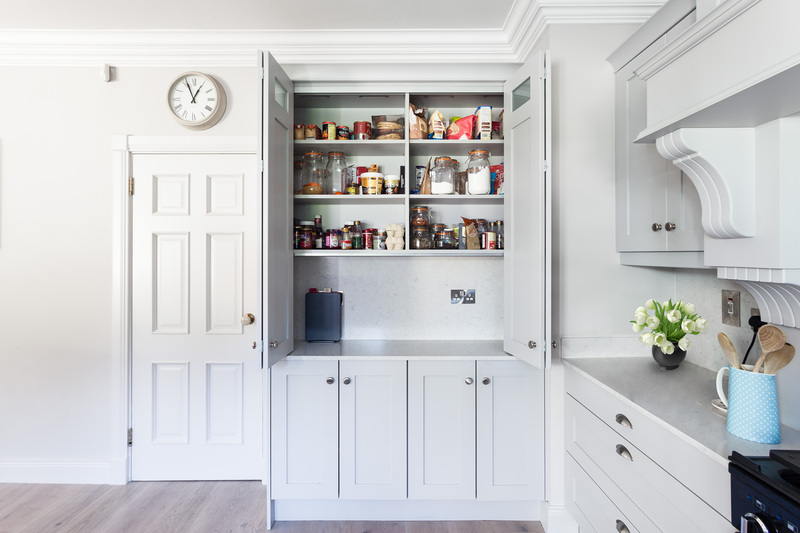 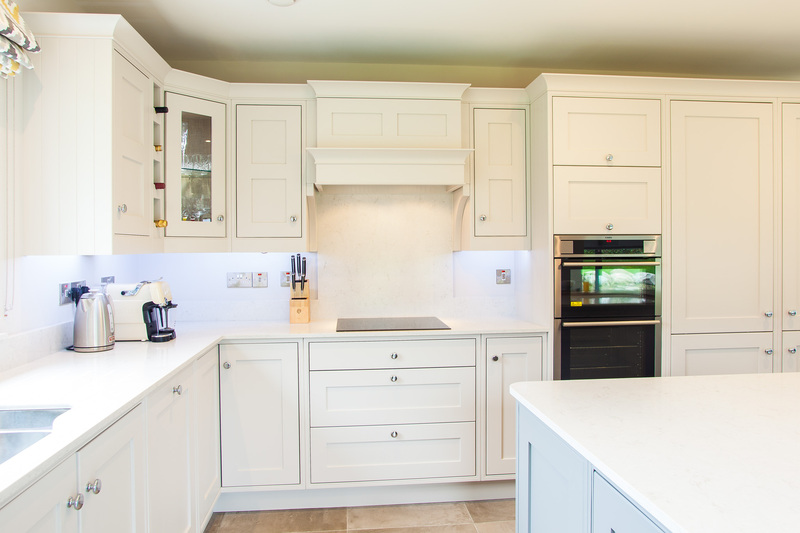 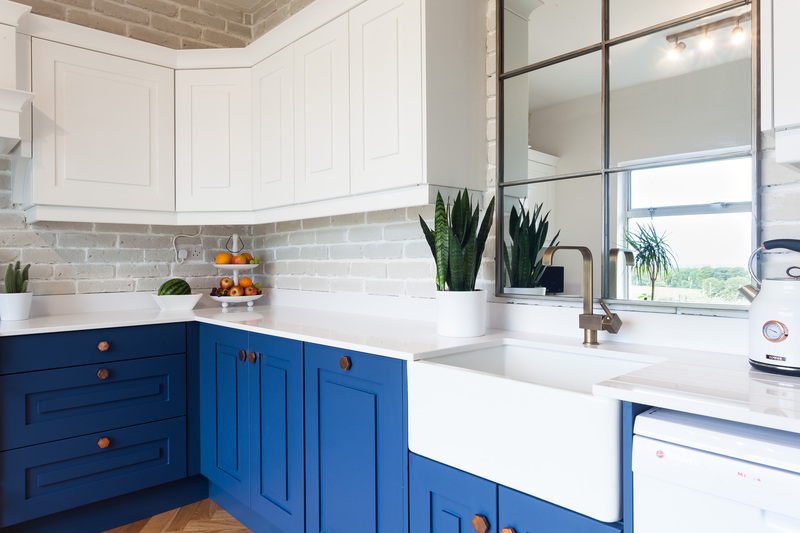 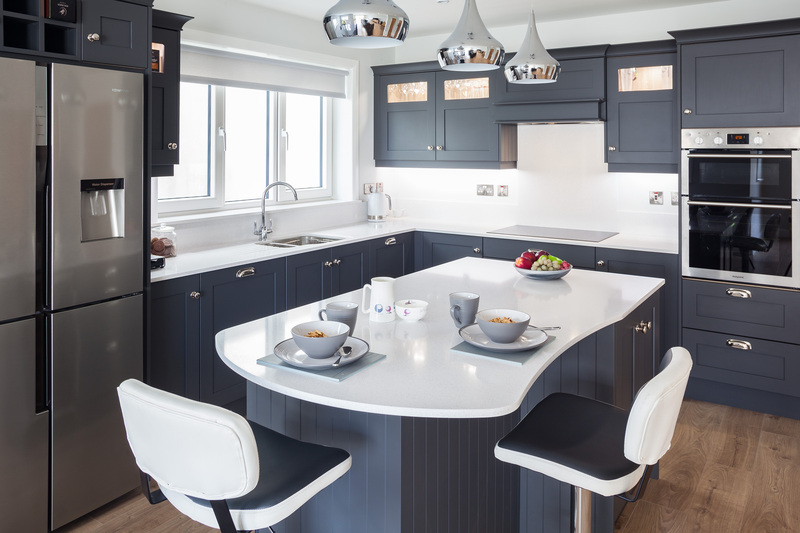 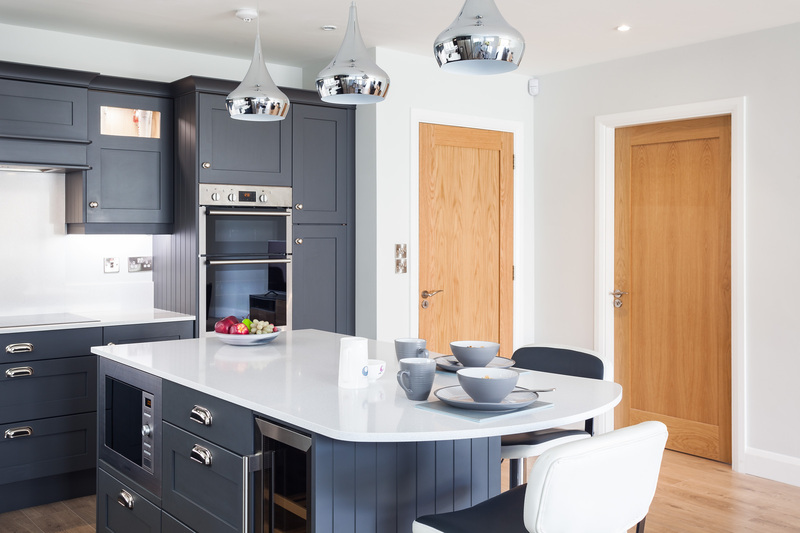 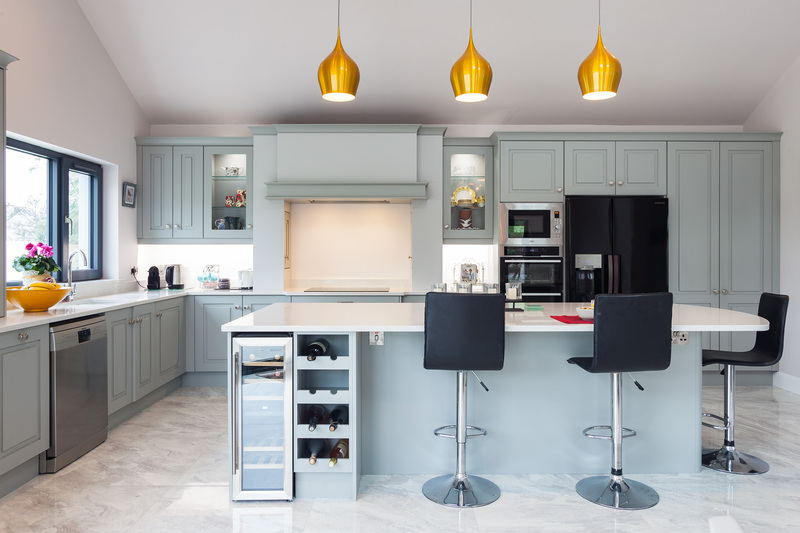 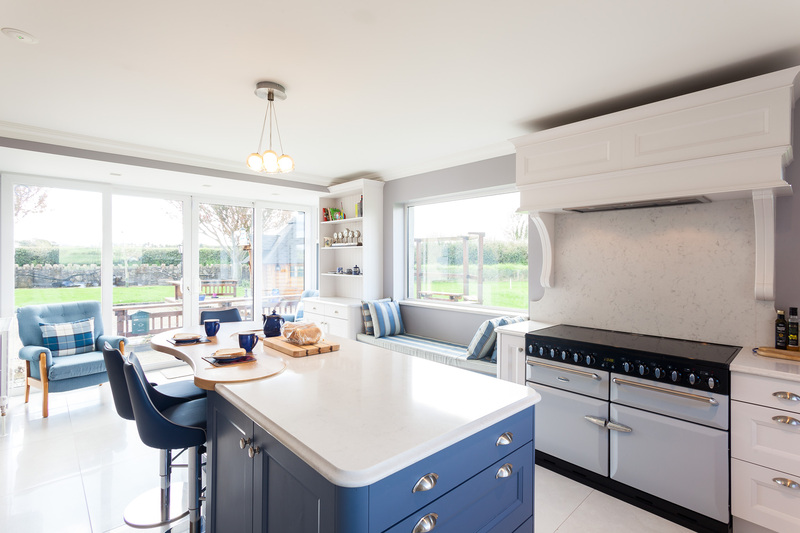 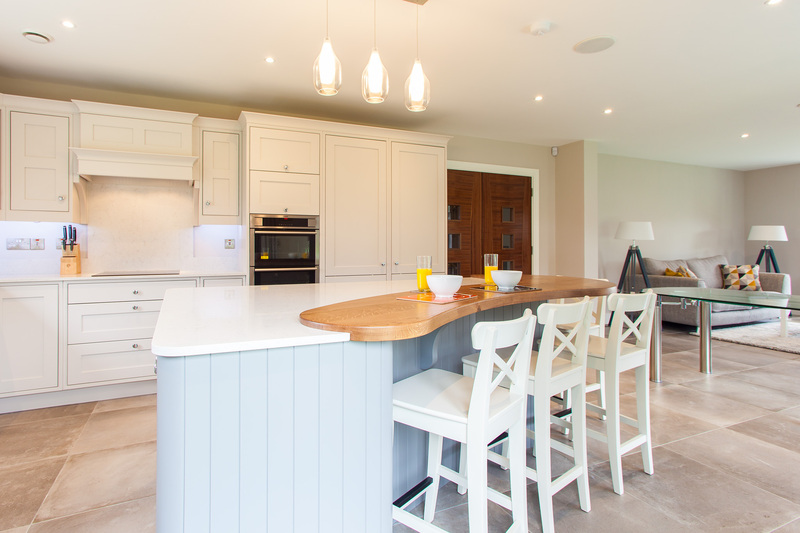 This striking kitchen from the team here in Celtic Interiors is a Shaker style, painted in Downpipe from Farrow & Ball and features worktops in Blanco Maple. 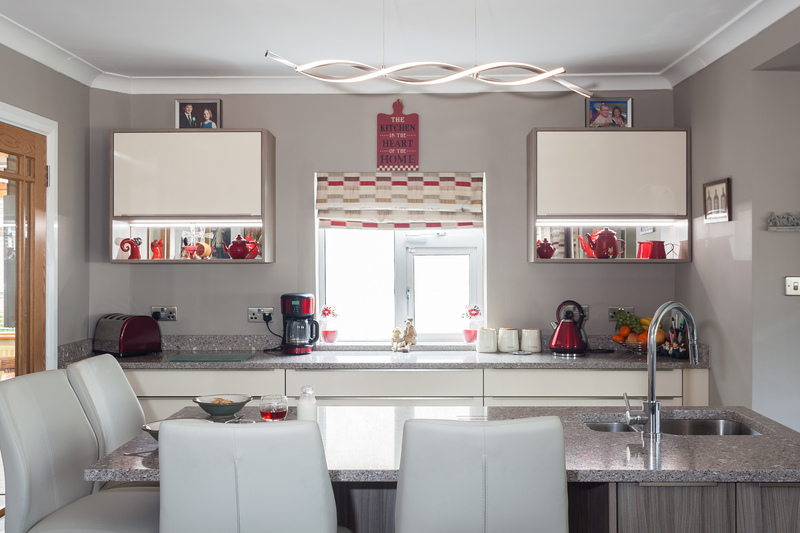 We are loving that classic cornice and the feature being made of the top glass doors with the use of lighting! 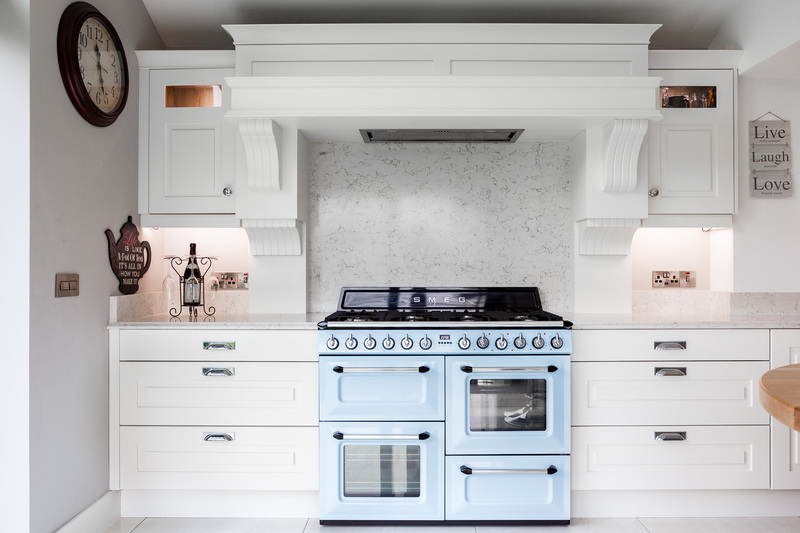 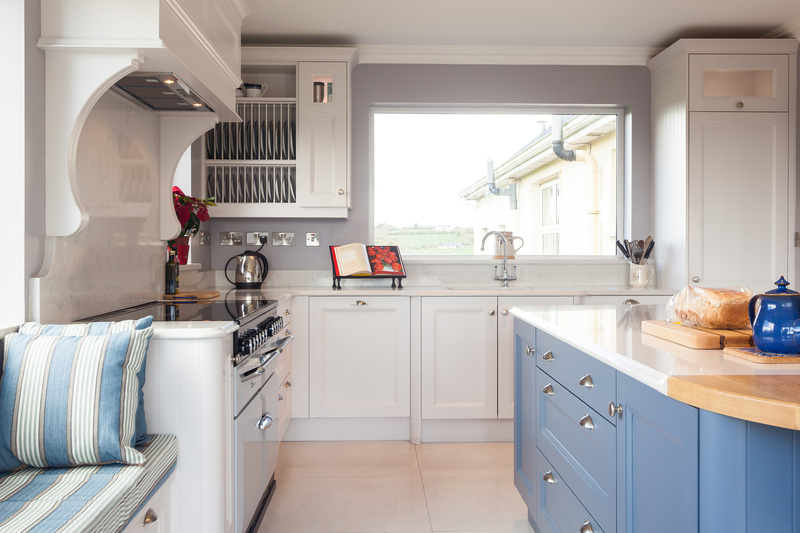 November's Celtic Interiors kitchen of the month was photographed recently. 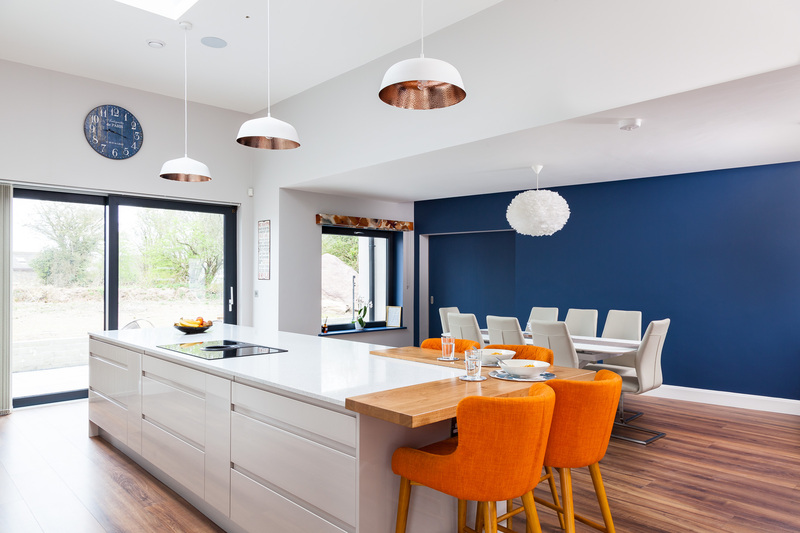 What a gorgeous room. 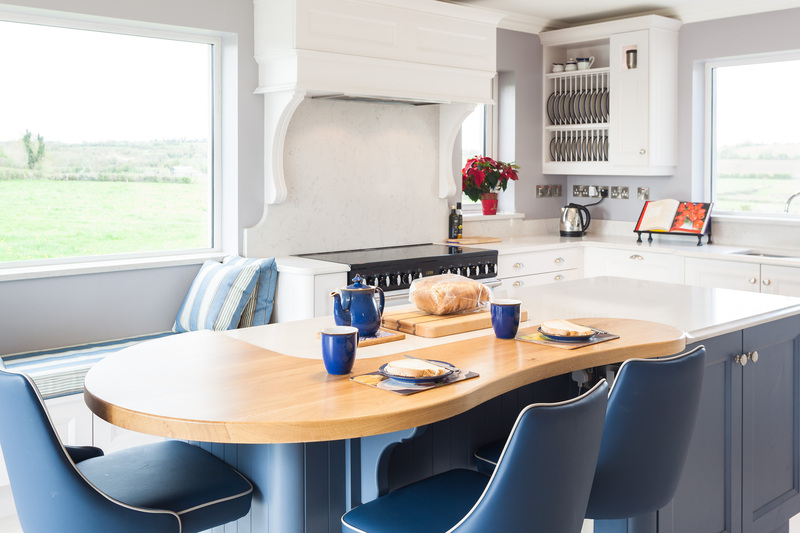 The paint colours are Cornforth White on the kitchen and Plumett on the island and the window seat. 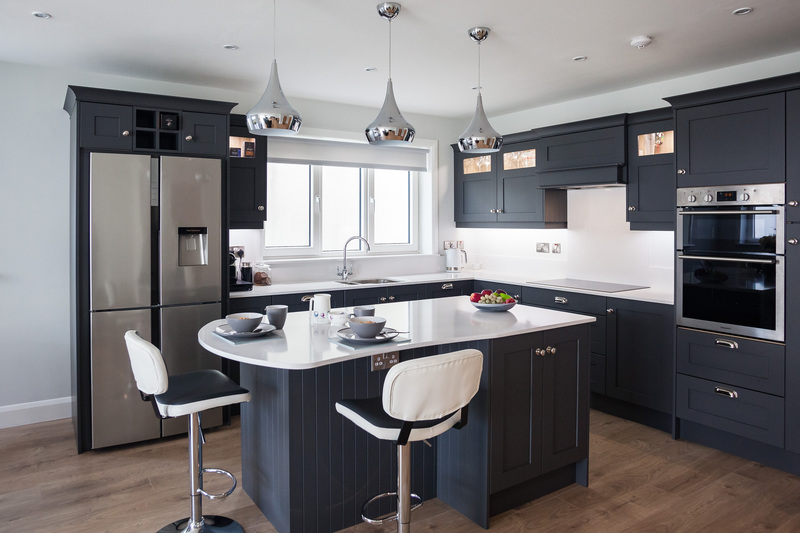 Such a great design and layout in a stunning home. 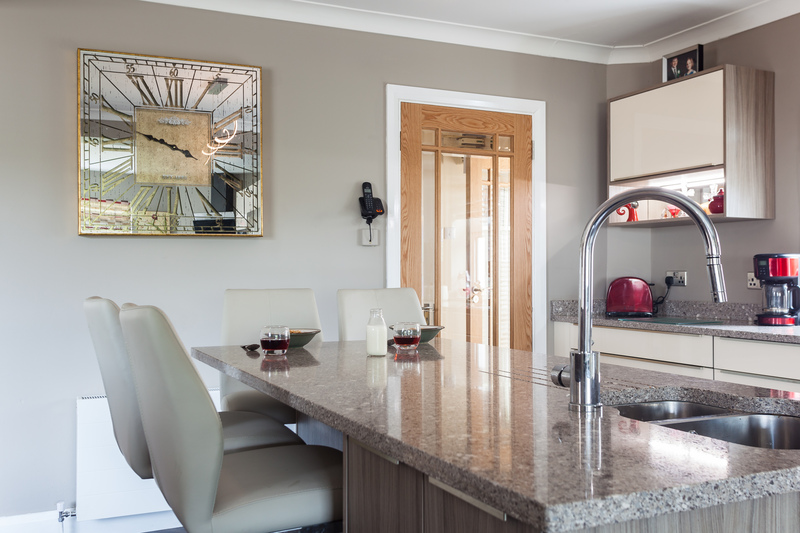 The quartz is snowy Ibiza. 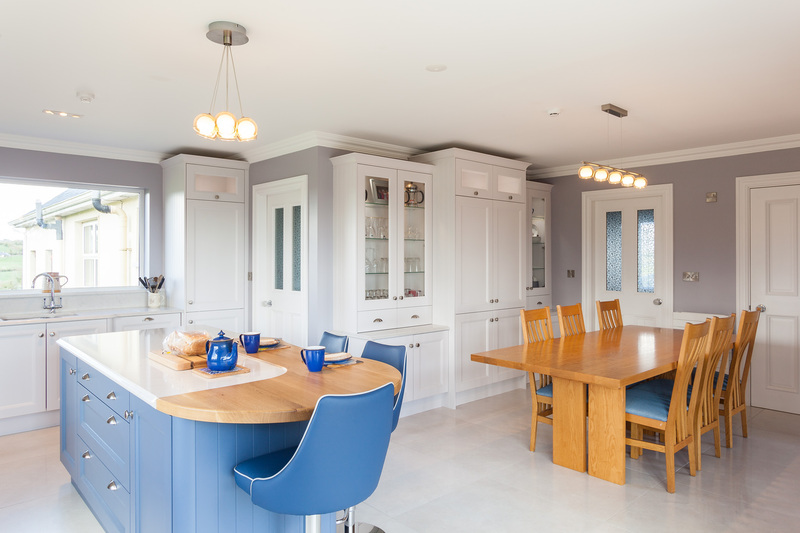 This project was recently completed by Celtic Interiors. 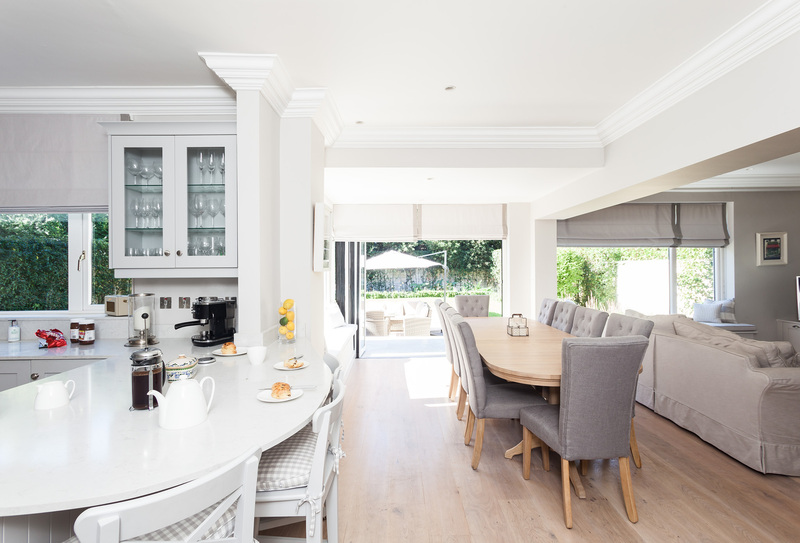 This stunning home was completely refurbished and I think you will agree the results are amazing. 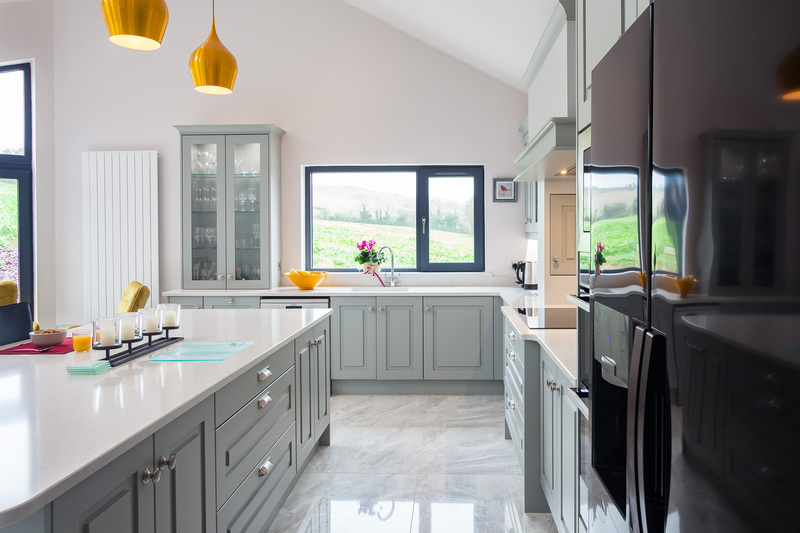 The kitchen is a Shaker style kitchen painted in Pavilion grey and the quartz is Snowy Ibiza. 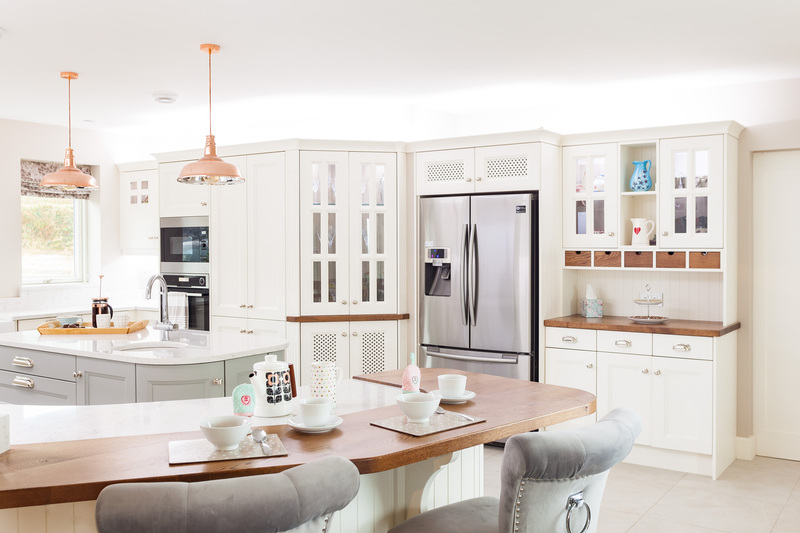 Absolutely Fabulous room to spend time in. 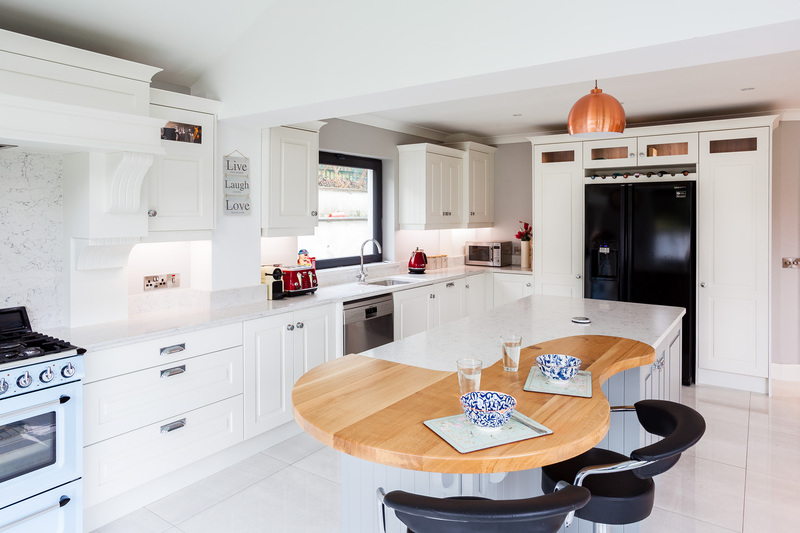 Celtic Interiors making beautiful kitchens for the past 25 years. 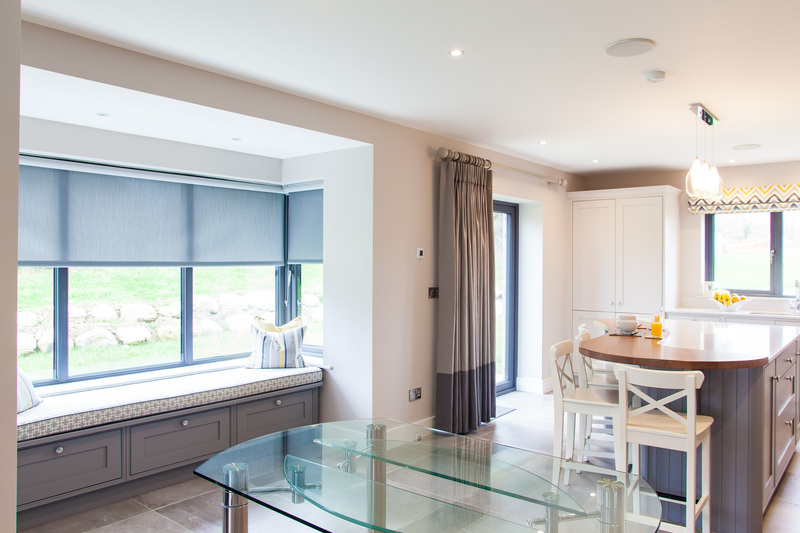 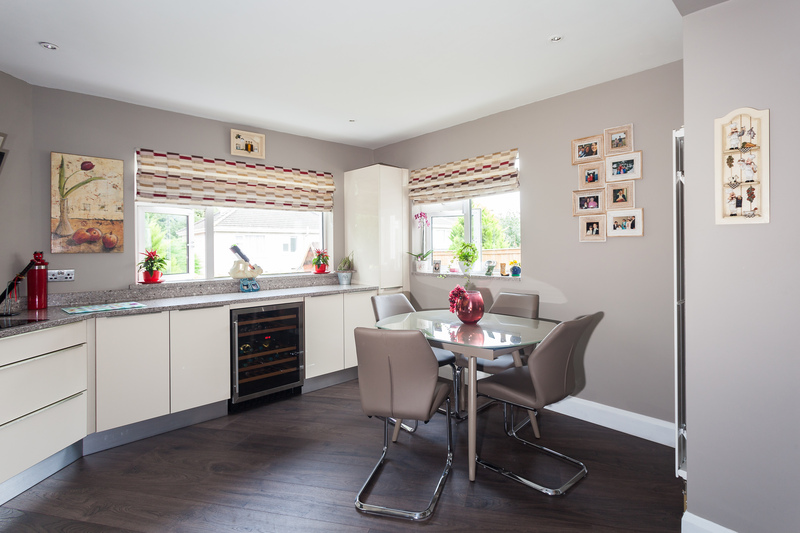 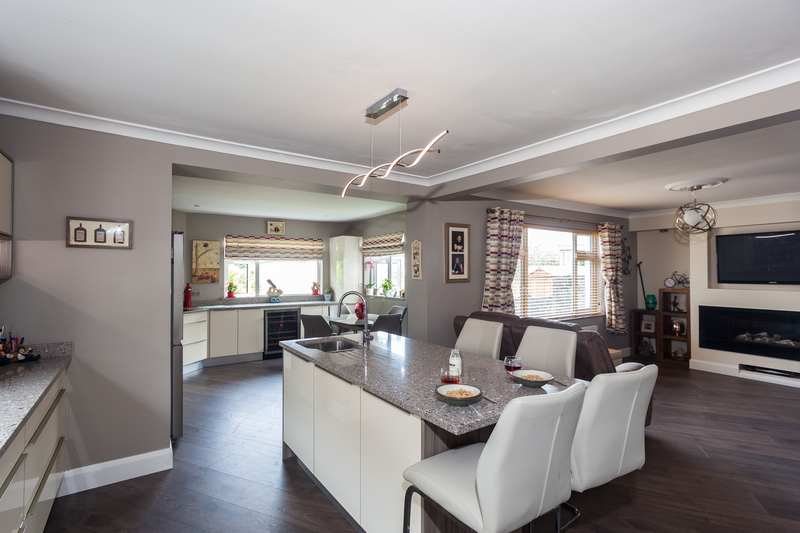 The featured kitchen was fitted recently in this bright room. 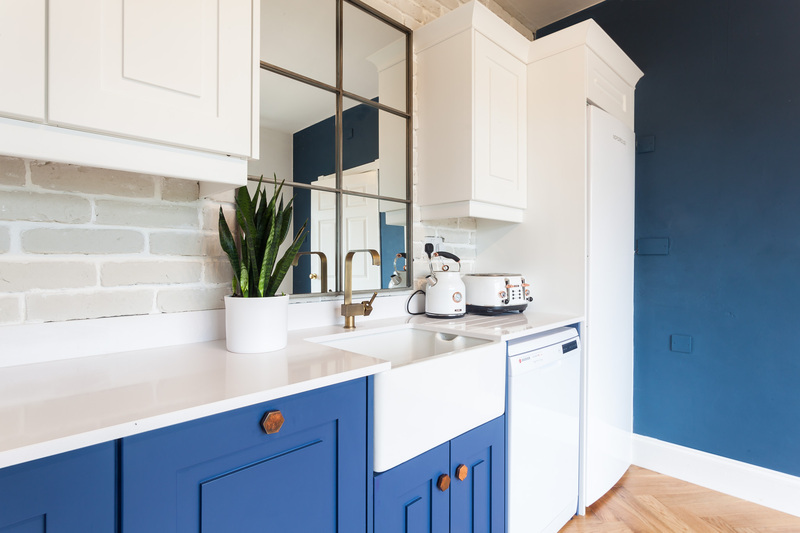 The paint colours are Stiffkey Blue and White. 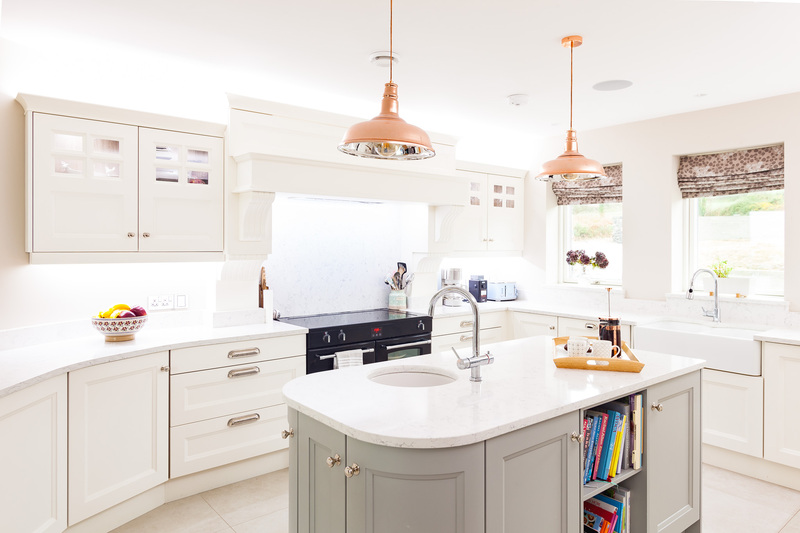 Push to open doors on the wall and lovely copper handles on the base units. 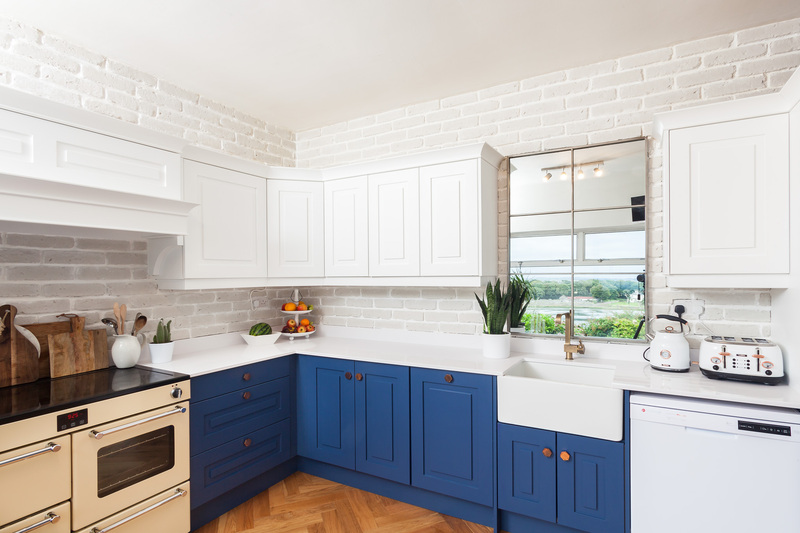 The flooring and wall tiles complement this design perfectly. 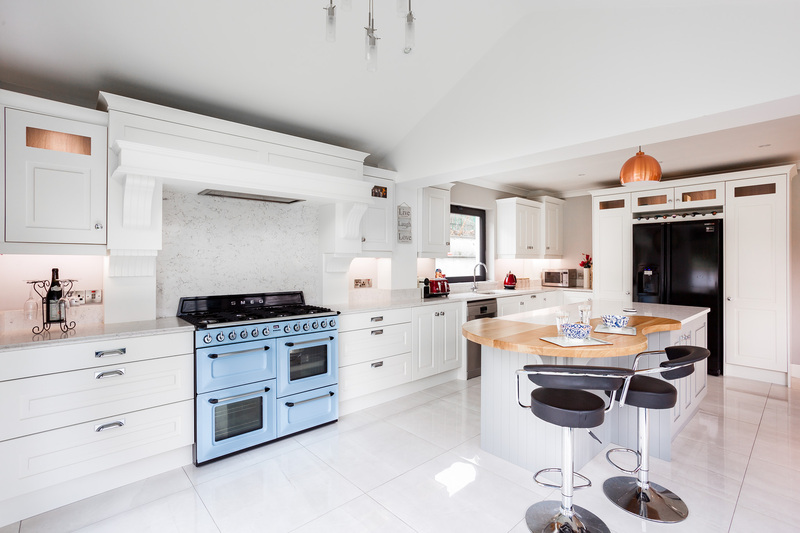 Celtic Interiors making homes beautiful for 25 years. 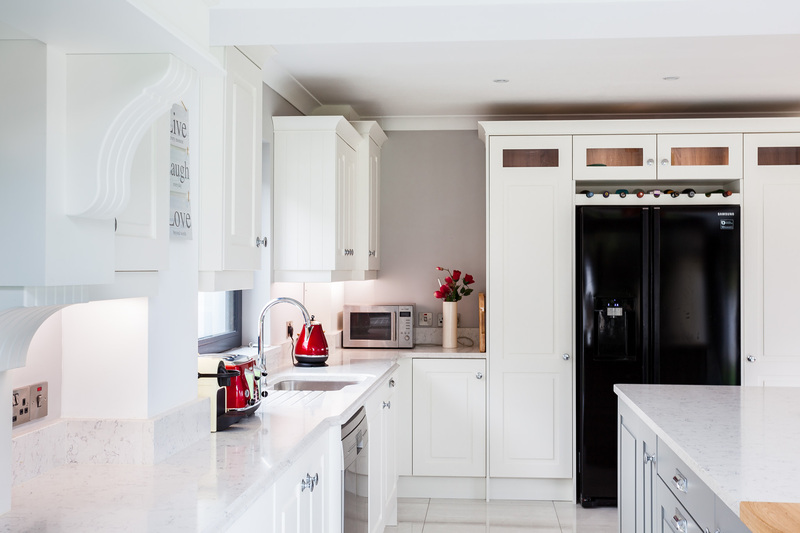 For July 2018 I have chosen to highlight this Celtic Interiors Acrylic and Wood-grain kitchen. 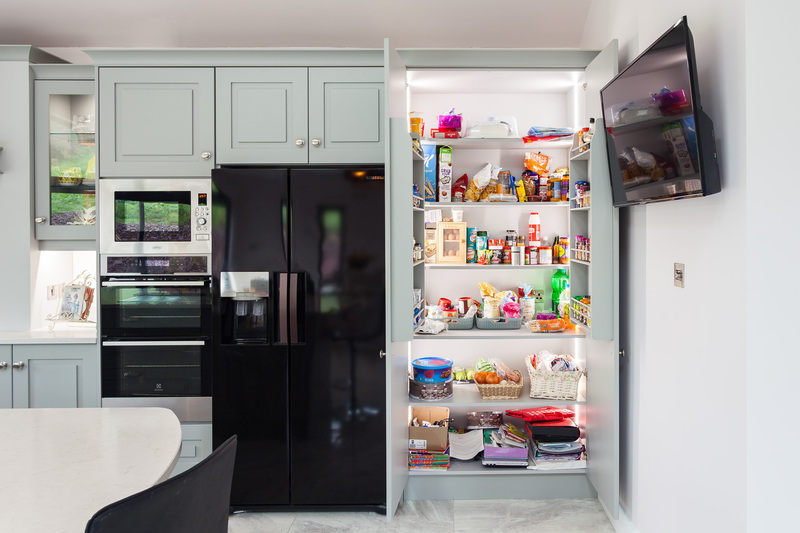 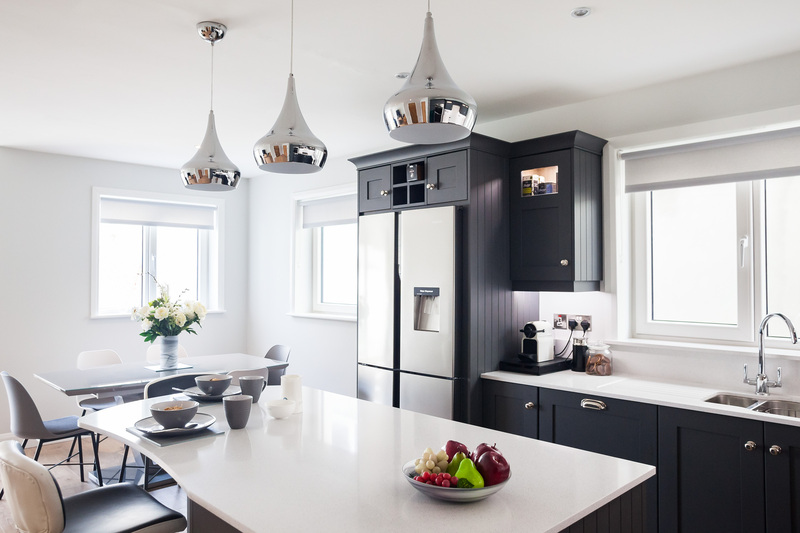 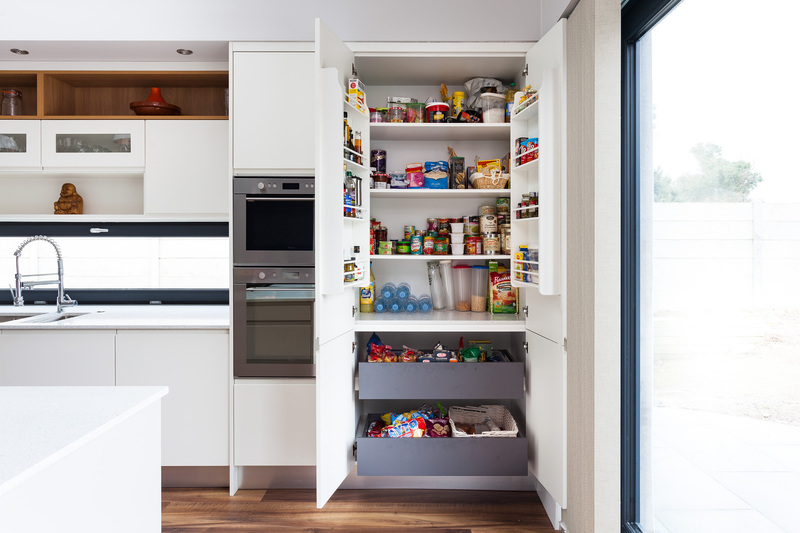 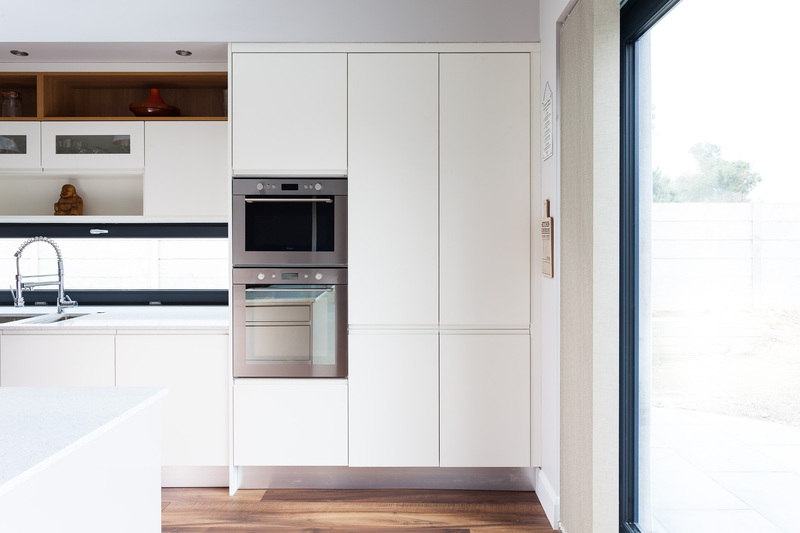 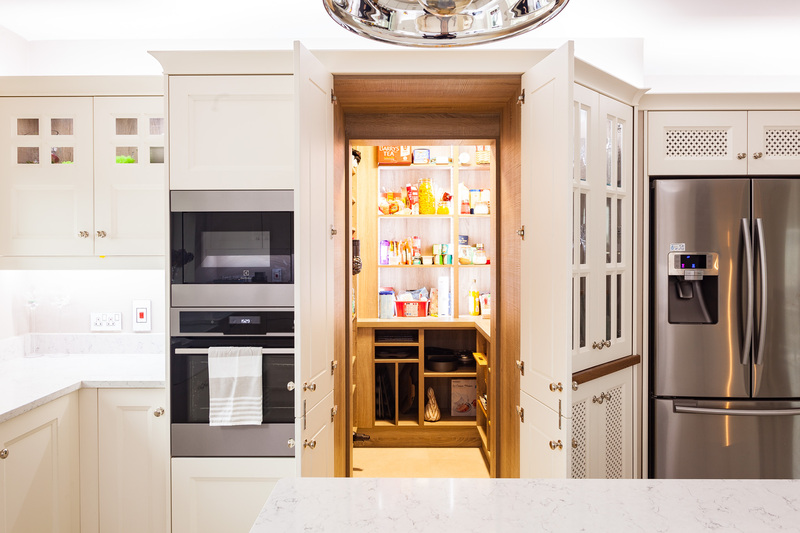 A great Contemporary design kitchen with ample storage and sleek design features. 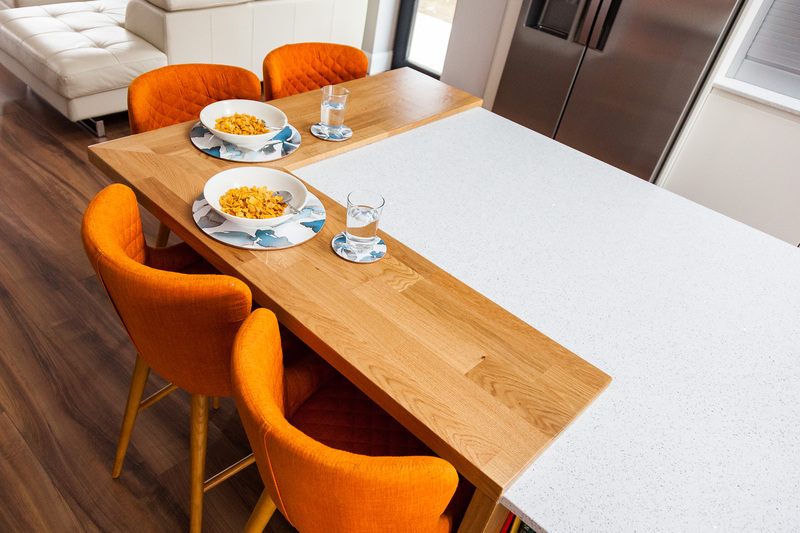 The quartz featured is Alpine. 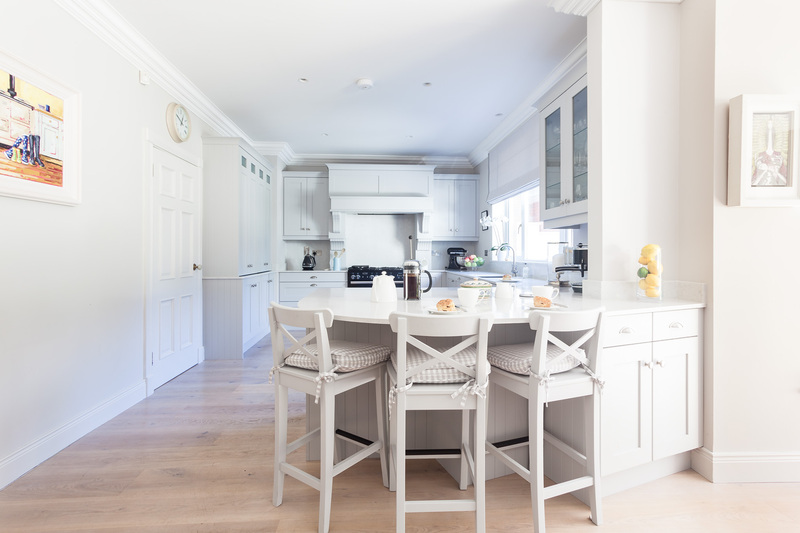 I'm sure you will agree this is a beautiful kitchen.